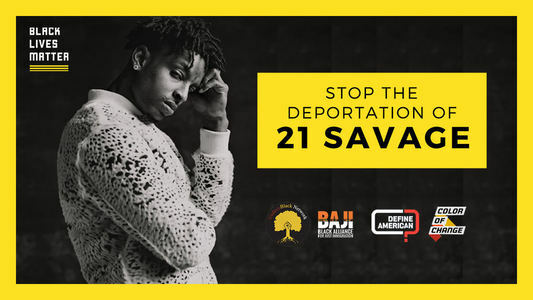 Recently rapper 21 Savage was detained by ICE officials. Allegedly, he overstayed his VISA and is currently set for deportation back to his home country, the United Kingdom. This came as a shock to his fans, being that basically everyone believed he was from Atlanta, GA as he has stated multiple times. Apparently 21, named She’yaa Bin Abraham-Joseph at birth, came to America as a child with his father. Many outlets have reported that the famed rapper filed for a new VISA years ago, and that his arrest is the latest attack on black people in America. While that idea is debatable, I am more concerned with discussing the responses to his arrest. Social media replied with memes and humor, but the black music elite took a much more serious stance. Pierre “Pee” Thomas, CEO of Quality Control music label, petitioned everyone, “that got sum money and influence,” to help secure the best immigration attorneys for the rapper. In response, the Migos, another popular hip hop group, co-signed his effort followed by more hip-hop industry heavyweights pledging their support. Rapper and business mogul, Jay-Z, took it upon himself to bypass the petition altogether and hired an elite team of legal support to represent Abraham-Joseph. Today, it was announced that 21 Savage was released on bond pending a hearing about his case. It’s amazing to see black millionaires lending a hand to help a friend. But what about all of the other wrongfully detained immigrants who don’t have friends with these benefits? What about the millions of imprisoned African-Americans who can not afford representation that are incarcerated in prison, some being held there just because they can’t make bail, not because they have been convicted of a crime? This case has reinforced a sense of hierarchy in our community, basically sending the message that having your brother’s back only applies to those who have your similar tax bracket. It seems like the black elite help other privileged people more than the less fortunate. Don’t get me wrong. I am not saying that Jay-Z has never done any philanthropy prior to this situation. However, I am saying that I.C.E. has been tearing families apart way before they arrested 21 Savage. After doing research, I learned 21 Savage has a net worth of over 10 million dollars. Some estimates placed it as high as 22 million. None of his assets or bank accounts are subject to seizure. Why did Jay-Z have to pay for his legal team? I think it is most likely NOT out of financial need, but more so a show of support. I just wish black moguls would show that same support to those who truly need it. Our community is full of so many black people who are being crucified by the justice system, all because they don’t have the money for proper representation. I can only imagine the world of difference that could be made if the black elite didn’t pick and choose which cases they wanted to support. Thank God for the ones who use their influence to empower change, but we have millions Cytonia Browns out there who still need help. I think your point about other folks who need help not getting it is valid. However, the good thing is that so often immigration is seen as a Mexico border issue and by proxy a Mexican issue. But it impacts Black and Asian communities as well. So perhaps this will bring that more to light and the work of organizations that do this work EVERYDAY are strengthened. 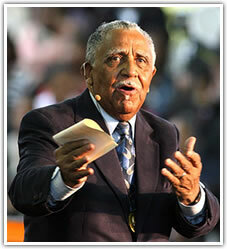 I agree on the point of the elitism that takes place during these times of crisis for black people of higher status. There are children who don’t have enough funding to go to school. Who are struggling to eat everyday. There are black institutions that are struggling to keep their doors open. We as a people rally and organize for the wrong things. I agree on the point of the elitism that takes place during these times of crisis. There are children who don’t have enough funding to go to school. Who are struggling to eat everyday. There are black institutions that are struggling to keep their doors open. We as a people rally and organize for the wrong things.